Maxtrix designs and manufactures high quality, timeless bunk beds for the whole family. 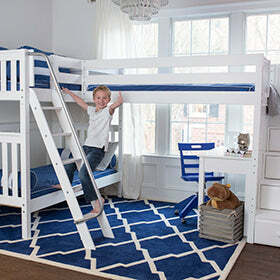 Our bunk beds are made with solid hardwoods and are designed to grow and change as your family's needs change. Our beds support 800 lbs! Looking for Your Perfect Fit?